David Clarkson's scoring spree came to an end on Saturday but the Dundee striker's form has been rewarded with the SPFL player of the month award. 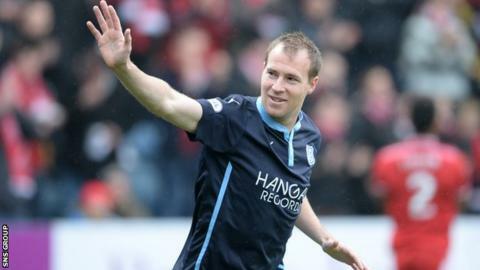 The 29-year-old had netted in every game he had played this season, prior to the 2-1 home defeat by Inverness. He scored four goals in November on his run of eight in eight games. Last month he scored against Kilmarnock, St Johnstone and Celtic on league duty before hitting a late Scottish Cup winner against Aberdeen.